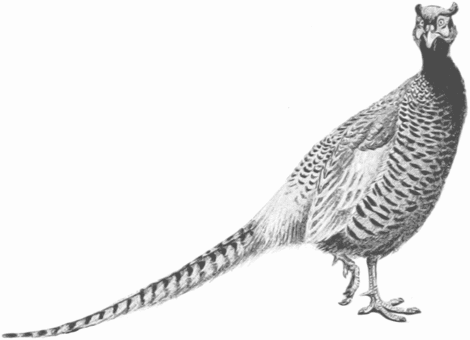 Pheasant shooting has been taking place in Great Britain since the 16th century, albeit on a relatively small scale prior to the mid 19th century when the advent of the breech loading shotgun, which enabled sportsmen to kill a large amount of gamebirds within a relatively short period, paved the way for the development of the driven shoot. Prior to this time, pheasants were usually walked up over dogs and shot in small numbers, with little artificial rearing taking place. Indeed, wild pheasants were quite scarce in many areas, despite being preserved by gamekeepers through nest management, vermin control and poaching prevention. Before the pheasant became a fashionable quarry species, the grey (or ‘common’) partridge, then found in large numbers in some part of the country, was the principle gamebird pursued by sportsman, either by shooting, by netting or by hawking. The sport of pheasant shooting did not really start to become popular until the Regency period following the invention of the percussion cap gun, a much more efficient weapon then the old flintlock gun, which enabled bigger bags of game to be shot. Landowners were now planting woods and coverts on their property, not only to create aesthetically pleasing landscapes but for fox hunting purposes and with pheasant shooting in mind. By the 1820s, the continental practice of ‘battue’ or driven game shooting had begun to take place on a few well known English estates, including Knowsley in Lancashire, were a total of 27,000 head of game were killed in 1825, and at Eaton Hall in Cheshire, where the 1st Marquess of Westminster was already artificially rearing pheasants to bolster rapidly dwindling stocks of wild birds. The largest bag taken on the battue at this time, shot over a period of three days at Ashridge Park in Hertfordshire in January, 1822, amounted to 1200 head of game. In 1831, King William IV passed a landmark Game Act which removed the property qualification for killing game, enabling any purchaser of a game certificate to go out in pursuit of game on a farm or estate provided that he had the owner’s permission to do so. This legislation led not only to a massive increase in game shooting, game preservation and in gun ownership, but also established a statutory shooting season for pheasants running from October 1 to February 1. Walked up shooting, however, continued to be the principal form of game shooting practised in Britain throughout the 1830s. 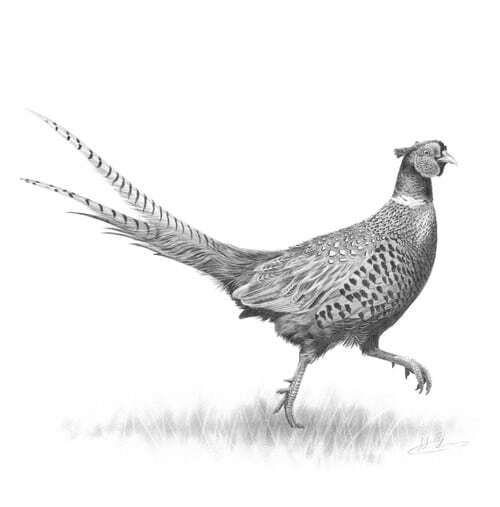 Pheasants were still relatively scarce in some districts at this time, with partridges, hared and rabbits forming the major portion of the bag taken by many sportsmen. Indeed, battue or driven game shooting remained a minority sport until 1840 when Queen Victoria married Prince Albert of Saxe-Coburg and Gotha. The Prince, a keen sportsman who was used to the large scale shoots help in his German homeland, immediately set about popularising driven game shooting in his adopted country and turned the royal estate at Windsor into a massive game preserve suitable for entertaining important guests, planting woods and coverts, rearing pheasants, putting down imported live hares and acquiring additional sporting rights over nearby Bagshot Park. Wealthy sportsmen, particularly younger men, soon began to follow the royal example, establishing driven shoots – often in the hope of attracting Prince Albert and winning a coveted invitation to shoot at Windsor. By the mid-1840s the Prince was regularly visiting English estates to shoot pheasants in late autumn after returning from his annual deer stalking expedition in Scotland. In 1846, while staying with the Marquess of Salisbury at Hatifled in Hertfordshire, he created a new record on a driven shoot killing 150 head of game in 150 minutes, shooting with four guns! Over the next two decades, Edward, Prince of Wales, the eldest son of Queen Victoria and Prince Albert, actively promoted driven pheasant and partridge shooting amongst the elite of society, particularly after he had purchased the Sandringham Estate in Norfolk in order to pursue his interest in the sport. Within a very short space of time, shooting took priority over agriculture in many parts of the British Isles. Large numbers of gamekeepers were recruited to rear pheasants and partridges, foresters were employed to manage areas of woodland, and armies of farm workers were given the chance to earn extra money as beaters on shoot days. By 1875, driven pheasant shooting had become firmly established as the leading fieldsport, not only throughout much of England and Wales but also on many Scottish and Irish estates. Virtually every major landowner was now striving to build up a shoot which provided daily bags of between 500 and 1000 pheasants, usually in the hope of attracting top shots such as the Marquess of Ripon, Lord Walsingham, the Maharajah Duleep Singh, or even Edward, Prince of Wales! Throughout the late Victorian and Edwardian periods, driven pheasant shooting was an important fixture on the social calendar on most large estates. Edward, Prince of Wales, who ascended the throne as King Edward VII in 1902, dominated the world of shooting at this time, and made an annual ‘progress’ around top shoots such as Chatsworth, Eaton, Elveden and Holkham right up until the time of his death in 1910. Driven pheasant shooting continued to take place on a grand scale until the outbreak of the First World War in 1914. In fact, in the last full season before the war, 1913, a party of seven guns headed by King George V took an all-time record bag of 3937 pheasants at a battue held on December 18 of that year at Hall Barn in Buckinghamshire, seat of Lord Burnham, the then proprietor of The Daily Telegraph. This event has been described as the high point of the big shoot era. Sadly, punitive taxation imposed by the Lloyd George Liberal government following the cessation of hostilities in 1918 meant that a large number of top driven pheasant shoots in Great Britain were obliged to make drastic economies in order to survive, with a resultant decline in the size of bags taken. However, a few of the great shoots, such as those owned by the royal family, the Duke of Westminster, the Duke of Rutland and a minority of other wealthy landowners, continued to operate along Edwardian lines until the declaration of the Second World War in 1939, when shooting for sporting purposed was discontinued for the duration of the war on virtually every estate in the land. Gamebird rearing restrictions enacted by the Labour government in the wake of the Second World War prevented landowners from re-building driven pheasant shoots until the mid-1950s, when economic constraints, in particular high labour costs, necessitated the introduction of ‘let days’ on many estates, or sporting leases whereby a shoot was let out to a syndicate of guns who were usually responsible for all management costs. From the 1960s onwards, there was a resurgence in the interest in large-scale driven pheasant shooting, particularly in English estates where landowners or syndicate tenants revitalised well known shoots, often taking advantage of modern pheasant rearing methods rather then producing birds using the traditional ‘broody hen’ incubation system, or by purchasing stock from game farms. For example, Harry Grass created the world class Broadlands pheasant shoot in the Test Valley in Hampshire for Earl Mountbatten of Burma, a member of the royal family, who used the shoot to entertain both British and European royals, as well as leading international businessmen such as Henry Ford II and Sir Thomas Sopwith. Grass, known as the ‘King of the Gamekeepers’, raised the daily pheasant bag taken at Broadlands from 703 birds on Decemeber 19, 1959 to a record-breaking 2139 on November 28, 1970 – one of the largest daily bags shot in Britain since 1913. Less then a decade after Harry Grass set to work improving the Broadlands pheasant shoot, David Hitchens, a Wiltshire farmer, began to develop what is now the internationally famous Gurston Down shoot, some 30 miles distant from Broadlands, concentrating specifically on providing high pheasants for wealthy, paying guns. Several shoot owners in the south-west of England subsequently followed in Hitchins’ footsteps, creating commercial high pheasant shoots on Exmoor, most notably Miltons, Molland and Castle Hill. The interest and enthusiasm for pheasant shooting, both driven and walked-up, has continued to gather momentum in the United Kingdom over the past 40 years or so, with a wide variety of shoots located throughout England, Wales, Scotland and Northern Ireland, ranging from large driven shoots on great estates to tiny walked-up shoots on Scottish offshore inlands. Further, during this period the sport of pheasant shooting has become much more democratic, no longer being the preserve of the rich and the famous, but also available to the working man through the medium of the ‘self-keepered’ shoot whereby a group of friends rent land from a farmer or an estate and manage their own small shoot. Today, the great majority of driven pheasant shoots in the United Kingdom are run along commercial lines, primarily for the benefit of paying guns, both private and corporate. Many of the smaller walked-up pheasant shoots are operated on a business footing, too, letting days out to private clients in order to help defray some of the running costs. According to a number of recent surveys, the British game shooting industry is currently worth between £2billion and £2.5billion to the economy. However, the famous old saying ‘Up goes a guinea, bang goes a penny halfpenny, and down comes half-a-crown’, which refers to the cost of rearing a pheasant, the cost of a shotgun cartridge, and the price paid by a game dealer for a dead bird at the end of a shoot, is as relevant today as it was a century ago during the Edwardian era, especially now that it can cost as much as £50 to put a pheasant in the air, with an expected return of less then 50p – if anything at all – for a dead bird! We hope that this has been an interesting read for you all. If you are looking for game cartridges then you can find our current shotgun cartridge prices on our website. Here at Countryway we are also a large stockist of country clothing, including all the correct Game shooting clothing from well known brands such as Barbour clothing, Musto , and Seeland.